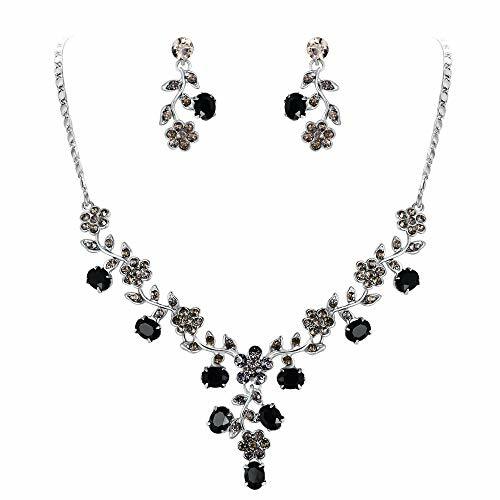 Brilliant flower jewelry set with oval-shaped droplet for bridesmaid or bride. Made of crystals. Wearing this kind of jewelry will make you more eye-catching. Necklace Length: 46cm(18")-53cm(20.8"), Attachment Size: 14cm(5.5")by4.3cm(1.7"), Earring Size: 3.3cm(1.3")by1.6cm(0.6"), One Earring Weight: 3g, For Pierced Ears Only.